Application developers big and small use our libraries to add powerful new image recognition features to their products, at a fraction of the cost and the risk of doing it themselves. By leveraging our technology, they can focus on their core business and their customers' needs. Vision Smarts develops and licenses leading-edge image and video analysis software. using the built-in camera of all iPhone, iPad, and Android models. Back in 2009, our iPhone app pic2shop® dispelled the myth that reading regular UPC barcodes with the fixed focus iPhone camera was impossible. A unique combination of mathematical tools and proprietary image processing algorithms made this achievement possible. Since then, pic2shop has been used by millions of shoppers worldwide. Pic2shop is available for iOS and Android. We believe visual search is the most effective way to access and interact with information on smartphones. Not just because the screen is small or because the keyboard is inconvenient, but because people now use their phones in situations and for purposes that are incredibly more varied than ever before. Together with geolocation and speech recognition, image analysis is becoming a staple of mobile computing. Barcode scanning is a great example, but only the beginning. Our goal is to help you build apps that recognize shapes, 3-dimensional objects, people's actions and much more. Equip your apps with accurate barcode scanning technology validated by millions of users. 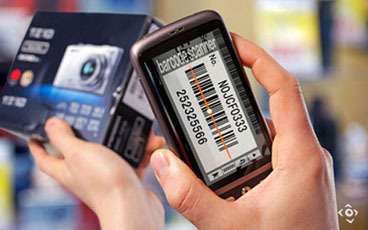 Our platform is ideal for retailers, manufacturers and app developers looking to quickly become barcode ready. A software library and SDK using proprietary algorithms to equip your own applications with barcode scanning functionality. A small footprint, high-performance, software library and SDK to read QR (Quick-Response) codes of all types. Our app publishing service helps you develop barcode-ready native apps with the flexibility and convenience of an HTML5 mobile web site. 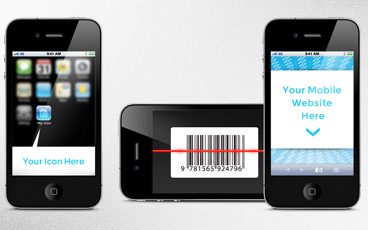 Our apps don't just showcase our barcode scanners. They offer the most reliable and streamlined user experiences in their categories. Please check them out! The best independent comparison shopping for iOS and Android. 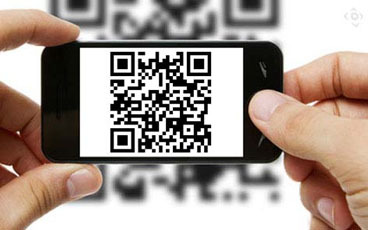 The most effective way to build a barcode scanner app for your business. Designed for Apple TV to let you watch all your IP webcams in one place. Catalog all your books, games, movies, etc, quickly and effortlessly. Vision Smarts is a Belgian company that develops, distributes, and supports software libraries for image recognition and real-time video analysis. The company strives to make cutting-edge technology available in an easy-to-integrate and affordable form to clients who may not otherwise have the resources to develop them on their own. Shopping in the smartphone age. IOS is a trademark or registered trademark of Cisco in the U.S. and other countries. ANDROID is a trademark of Google Inc.
© 2009-2018 Vision Smarts. All Rights Reserved.